As the Editor of the Southern Arizona Japanese Cultural Coalition (SAJCC formed last year), I publicize some of our cultural events here in Tucson. Coming up is an exciting concert event on Saturday, February 15, featuring Japan-born, now Canadian resident Aki Takahashi, along with Kyle Abbott (founder of Bachido.com). 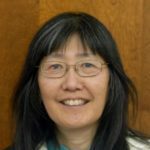 Read more about Aki at our SAJCC website, or at co-sponsor Odaiko Sonora‘s taiko drumming website. Buy tickets online at www.tucsonjapanesegardens.org. And if you haven’t viewed the beautiful new Yume Japanese Gardens, 2130 N. Alvernon Way, this is your chance! It’s just south of the Tucson Botanical Gardens on Alvernon, south of Grant Rd. Phone: 520-332-2928. More than 40 people there tonight to hear this lively concert by Aki and Kyle, performing 11 songs (a few instrumentals) with Aki singing folk songs from Japan. I recognized the bon dance one which is also popular in Hawaii. Peaceful setting at dusk in front of the koi pond, with hummingbirds flitting around the bushes.